Syncing my iPod this morning, I discovered a disturbing fact. 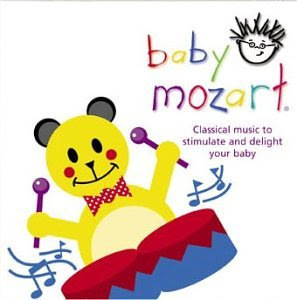 The 18 most-played songs come from "Baby Mozart". And it's not even close. We have an iPod dock in the baby's nursery, and whenever he's having a tough time going to sleep we just play Baby Mozart. It's great because he's usually out like a light within a few minutes. The only problem is I can hear the music from my home office, which shares a wall with the nursery. Between this and "The Wiggles", which my son also loves, my brain is turning into oatmeal. I hum these freaking tunes all the live long day. Things need to change, I decided today, because I can't take anymore. Plus, my wife wasn't home to stop me. So I experimented with some of the other tunes on my iPod for nap time. I'm happy to say, it worked. 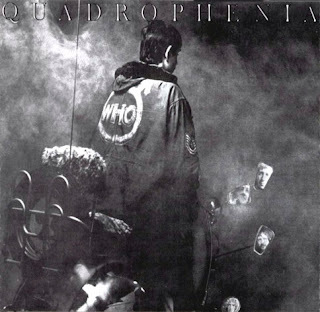 My son was cuddled up with his blanket and sucking his thumb in his crib -- calm as can be -- while listening to The Who's "Quadrophenia". His favorite new tune was "Love, Reign 'oer Me". And when the wife asks what happened to Baby Mozart -- she's big on classical music and classical music only for the baby -- I have an excuse. I mean, Quadrophenia is a rock opera. Game 1: CONNECTICUT (-12.5) over Baylor - I wasn't worried about Baylor until seeing the cover of the football media guide yesterday. It's a shot of their stadium in the orange-blue sky of the Texas twilight. It looked like the cover of "Friday Night Lights". Plus, Baylor has 93 guys from the state of Texas. So they must be fairly talented, right? Nah. UConn will still cover. Game 2: East Carolina (-7.5) over NC STATE - Skip Holtz has suddenly become the next young "it" coach-in-waiting. Could his next stop be in Syracuse? Game 3: Iowa (+1) over PITTSBURGH - Speaking of Syracuse, and since I have nothing to add on this game, nice job by the Orange with the Ernie Davis statue recently dedicated on campus. Ernie, who finished his Syracuse career in 1962, is depicted in his statue wearing Nike cleats and with a Nike swoosh on his jersey. Game 4: Notre Dame (+9) over MICHIGAN STATE - Charlie Weis tore knee ligaments while on the sidelines last weekend, and is pondering surgery. On a positive note, it's the first time in 20 years Weis has actually seen either of his knees. You know, cause he's kinda heavy? Let's move on. Game 5: Florida (-7.5) over TENNESSEE - Too much orange. Let's move on, again. Game 6: NAVY (+6.5) over Rutgers - Went back and forth on this one a few times. The argument was, in a nutshell, "Rutgers is bad. Are they that bad? They can't be. But I think they are." Game 7: NORTH CAROLINA (-3) over Virginia Tech - Every year, it seems the Huskies' play the surprise ACC team that turns out to be much better than anyone expected, and ends up contending for the league title. It was Wake Forest in 2006, Virginia in 2007. Methinks the Tar Heels might fit the bill, this year. Game 8: South Florida (-28) over FLORIDA INTERNATIONAL - I always get FIU and FAU confused. Then again, it doesn't really matter, does it? Game 9: Miami-Ohio (+11.5) over CINCINNATI: The oldest non-conference rivalry in college football playing for the lamest-sounding trophy in college football. Yep. It's the Battle for the Victory Bell! Game 10: Louisiana State (-3) over AUBURN - Auburn's college president sent out a university-wide email this week asking students to behave themselves and, specifically, not to boo. That should work out well. Game 11: Georgia (-7) over ARIZONA STATE - Dawgs never travels this far for regular season road games, dag nab it! Game 12: Wake Forest (+4) over FLORIDA STATE - 7 p.m. start. Someone be sure to wake Bobby Bo before then. I ate it last week. And I mean I absolutely ate it. Alas, Jim Tressel! I know him, Chip, a man of infinite jest. At least he realized what a joke Boeckman has been this season: Tressel has stated that he's going to be giving Terrelle Pryor some serious PT this week. It kills me to pick the Gators over Tennessee, both my parents are UT alumni and my blood is as orange as it is blue and white. Well I hate starting out by picking against UConn but something tells me they might have a little trouble containing Griffin. I do want them to win however, I just don't think they will cover. 1. UConn will be exposed on national TV for the overrated fraud of a team that they are. Baylor wins outright. 2. NC State ends all talk of ECU crashing the BCS. NC State outright. 3. Iowa crushes Pitt. Pitt is worse than UConn, for pete's sake. 4. Michigan State. I loathe Notre Dame. 8. South Florida. There is a school called Florida International? Why don't they just schedule Conn College for Women? 9. Miami-OH. The Big East stinks. STINKS. Any conference that has a team like UConn at the top should seriously look into dropping football. 10. LSU. Hell, I don't know. All I know is that both of these teams are REAL big-time programs, unlike the Huskies. 11. Georgia. Although it would be nice to see them lose. Oh man, I'm not even in the top 15?? Edited to get you in at No. 16, Sean O. Chip - Ouch, thank goodness I don't live in Vegas.